Sofa beds are a neat way to add dual functionality to your living room. In city houses that are short on space, it is not easy to add a guest room for the one-off visitors or friends who like to catch a sleepover. That’s when these sofa beds come to the rescue. Unfortunately, these sofa beds have also gained a reputation for being uncomfortable and only useful for people who need a slightly better option than a couch. It also makes the couch look ‘boxed’ and dense. Thankfully, recent changes in design are making sofa beds more comfortable and stylish. So, how should you go about selecting a sofa bed that works for you? • Think of why you are buying one: how often are you going to use it? They are harder and more expensive than conventional sofas so go for one only if you think there will be long-term use. • Will your sofa bed fit? Some sofa beds open with two mattresses while others open with three. You need to have enough room for the sofa bed to fit into your door and in your room. 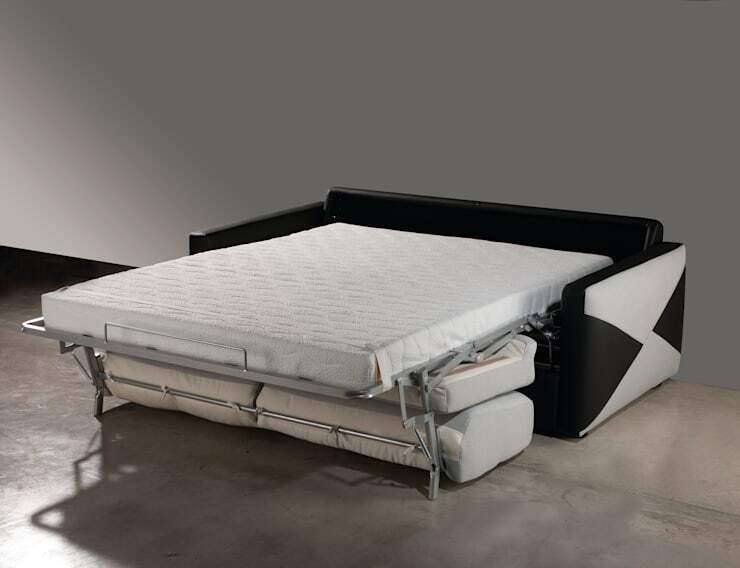 • Most sofa beds are made in the same way with very little difference from brand to brand. • Your mattress is everything: choose between a spring mattress, memory foam mattress or an air coil one. Now that you have the hang of what functionality you need, let us get to the most interesting part of choosing a trendy design. Here’s your 2016 design guide on sofa bed trends. Enjoy! There is something about adding flower power to your home with floral prints. 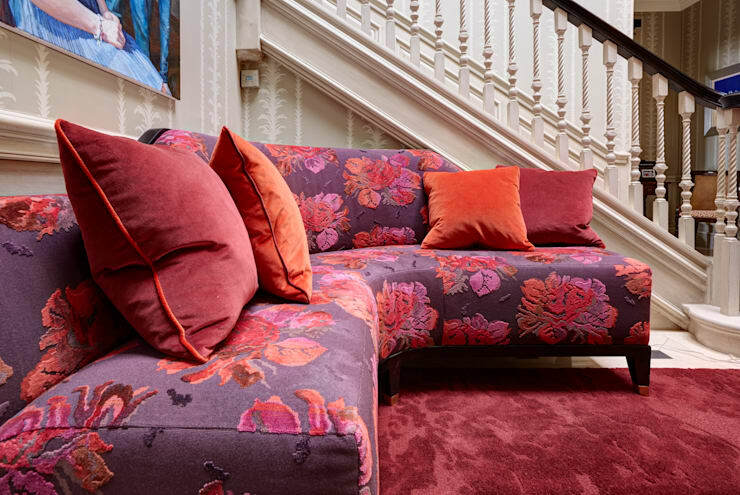 Floral prints can be added via wallpapers, carpets, curtains, china, wall hangings and of course the couch. The thing with choosing floral print is that it needs to fit in really well with the rest of the room. It works best when you have a relatively conservative room in terms of colour and décor and use bold a floral print sofa bed to instantly draw attention. Alternatively, if you have already added bold elements to your room but want an offbeat look to the seating area, go for smaller and more delicate floral prints on light coloured sofa beds to balance it out. 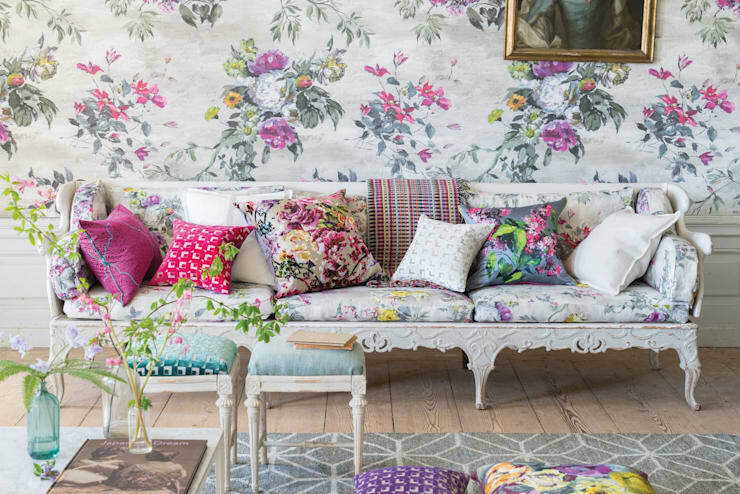 You can add bold single-flower print cushions to balance out the effect. There is something about old-world charm that keeps us coming back to it. Maybe it is the fact that life was simpler back then and we dream of that. Maybe you simply wanting to include the intricacies, design and style of vintage into your home with a statement-making couch. Maybe it reminds you of your childhood and memories associated with it are driving you to buy a vintage sofa bed design that fits snugly into your home and heart. Designs inspired from the 70s, 80s and 90s are back with a bang. Bold single colours, buttoned back cushions, boxed design and leather or suede fabric makes a perfect combination. Except that in 2016, the beds are far more comfortable. 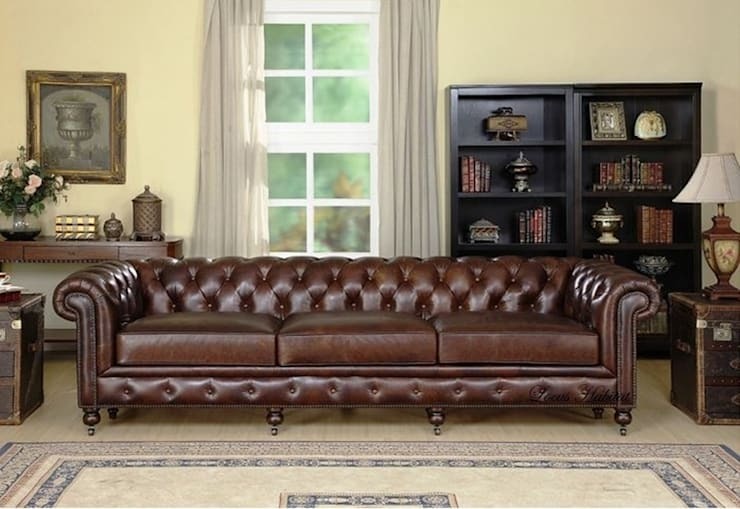 Vintage sofa beds made with wood often give an opportunity to display expert and intricate craftsmanship. The designs are more close to royalty and come with a classic finish. You’ll almost feel like you are transported to a movie from the era. You can use a French Louis XVI style cane velvet design that has an unmistakable royal flair or one with sensual curves and brass-plated legs which combine the best of modern and vintage. Want to feel closer to nature? Nature-inspired patterns can make an interesting addition to your home. Most people imagine sofa beds in plain colours, but patterns are a way to liven them up. Natural patterns are all around you and you can go with what inspires you the most and fits the décor style. A sea-inspired pattern can have waves cascade as the sofa bed opens and fish jumping from the cushions. A jungle-themed sofa bed, when folded, can look like the lush foliage of a tree, but when opened into a bed, it can incorporate the whole tree trunk. Natural patterns can allow you to bring out hidden creativity to change the look of the sofa bed when extended to its full form. This beautiful sofa bed is from the house of White Linen Interiors Ltd. based in St. Margarets. 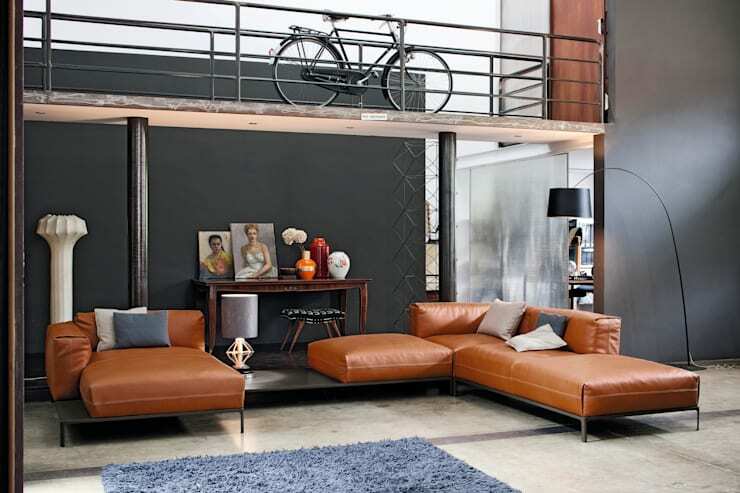 Industrial style design is characterised by its raw unfinished looks. In this type of décor, you often have pipes visible from the ceilings, shiny stainless steel incorporated into the décor and brickwork walls in deep red adding to the appeal. When adding a sofa bed industrial style design, it’ll mostly have a cut and straight look. It’ll mostly be made of metal with a rustic finish and the fabric can include bold deep greys or geometric designs. You can continue the 'unfinished' look by having a sofa bed without an arm rest or removing all the cushions. Want to follow the latest trend to take your home to the next level? Animal prints will do that for you! 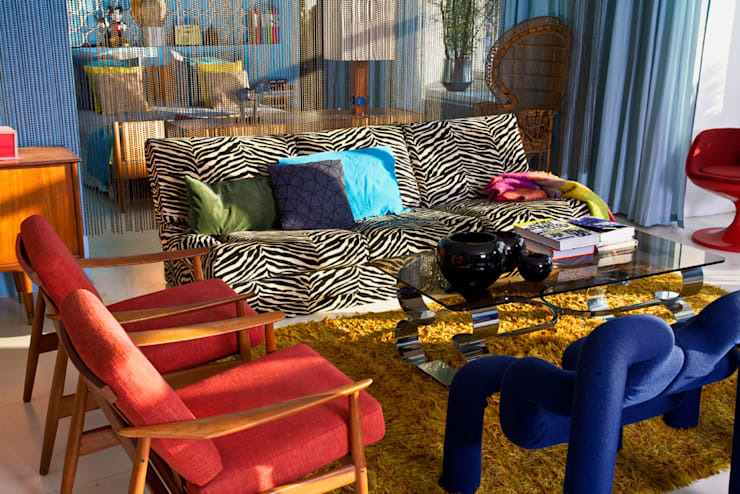 Bold stripes and spots from the animal world can reach your sofa and envelope you with their patterns and design. Try to keep your cushions in contrast when you choose this. For example, if you have a zebra print added to your animal sofa bed design, tone down the area with plain black cushions. You can use multiple animal prints of the same colour (say stripes and spots) to give a cosy look. If you want to spell out exotic, go for suede or velvet finishes. It never fails to impress. A perfect mix of modern and minimalist, a modern black and white sofa bed is likely to stay fashionable forever. You can use bold patterns or simple black and white in contrast for the bed to finish the look. If you're thinking of arranging this piece of furniture in a smaller room, check out The 6 Best Layouts for a Small Living Room for inspiration. Which is your favourite of these sofa beds? Let us know in the comments!